It is a fact that English is the number one language and nobody can deny it. There are some reasons. 1. The reason is in the structure of the language itself. 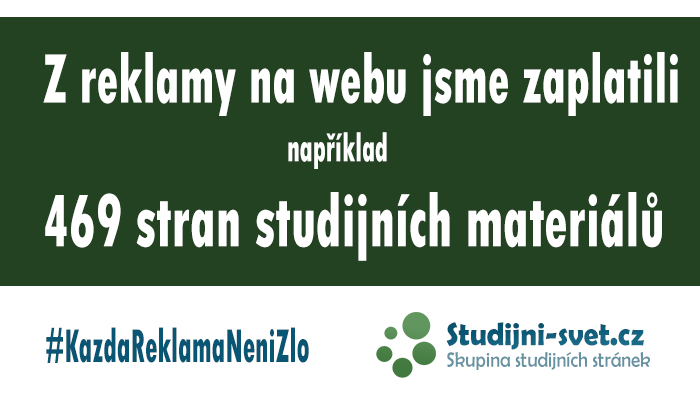 The grammar is very easy, there are no declensions (skloňování – a noun with no endings, doesn’t change) and conjugations (časování – each subject has diff. ending). Other languages are more complicated. 2. The second reason is the vocabulary, which is connected with the history of English. At the beginning there were Celts in the GB. Celtic language was very different from English. Then the Anglo-Saxons came and they brought a Germanic language, which today’s English was established from. Celtic and Germanic language were different. People didn’t melt together so Celts were pushed to the West, where nowadays Wales is and the Welsh language is still used. Then the Vikings started to come from northern Europe. Their language was again Germanic, so they understood each other. There were a lot of expressions which English absorbed from North European languages which were Germanic. Nowadays in the North, when people study English, it is easy for them, because it is similar to their language. In the 11th century William the Conqueror came from Normandy and invaded the GB. He brought French and up to the 14th century French was used at the court, so French influenced English a lot, mainly in vocabulary. In English there are a lot of expressions from other European languages, so it is easy for people from other countries to learn it. E.g. Czech influenced English with words as robot, dollar or pistol It is another reason why English is the no.1 language. In the 14th century English was restored to be used again, because of Geoffrey Chaucer. In the 17th century English was very simplified and it is used till nowadays. 3. There were some political reasons connected with the GB and its empire above all. In the 18th and 19th century it was the flourishing of the GB Empire and its colonial system. In fact, it started in the 17th century with American colonies and gradually it was India, Pakistan, Africa and so on. The colonies, which were British at that time, started using English as the official language. After the first and the second World Wars these colonies were freed, but the language stayed as the official language or the second language till nowadays. In some formal colonies, such as the USA, Canada, Australia and New Zealand, English is not only the official language, but also the mother tongue. Even if the GB started being the world power, the USA took over and the USA is nowadays the world power number 1. It also helped English to gain this position. In Shakespeare time 9 million of people were speaking English. Nowadays there are more than 1 billion people using English either as mother tongue or as a second language. People study it all over the world. It is used in travelling, air navigation in airports, and navigation of ships. It is a language of science and technology. Most of the new technology comes from the USA and their terms are used all over the world. English has more variations. The two main mostly used types are American English and British English (Standard English), but basically it is the same English. British and Americans can understand each other. There is different vocabulary, but they know what they are talking about. One of the differences is spelling. I would say that British English is a bit more complicated, it has more complicated spelling rules. Also other languages have borrowed a lot of words form English (for ex. telephone, runway, monitor, soundtrack). Why to have a no1 language at all? Different language is often a barrier in communication, mainly in business or travelling. It can be broken only by learning to speak. It is possible that in the future the other languages will die out and we will speak only in English. I think that it would be much easier to communicate with other nations. But of course there are some negative aspects of this possible future. The specific cultural characteristic will disappear. I really like English and I enjoy speaking English. I like that you are not limited when you can speak English well. So you can travel or live all around the world. From my own experience English is the easiest language to learn, after Slovak of course. I try to speak English a lot and I have many American friends as well. I also recently realized how much Czech language is difficult. My dream is to visit the USA and maybe to live there for a while. This is one reason why I want to be good at speaking English. The next reason is my future, because I know that I will definitely need English in my future job. I think that all people should learn English. It is a World Language and in the future no one will manage without it.